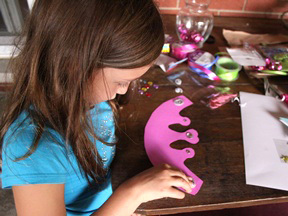 Are you planning a princess party, or just planning a fun afternoon craft idea for your little princess? Let’s face it—what little girl doesn’t want to be a princess at some point in her life? 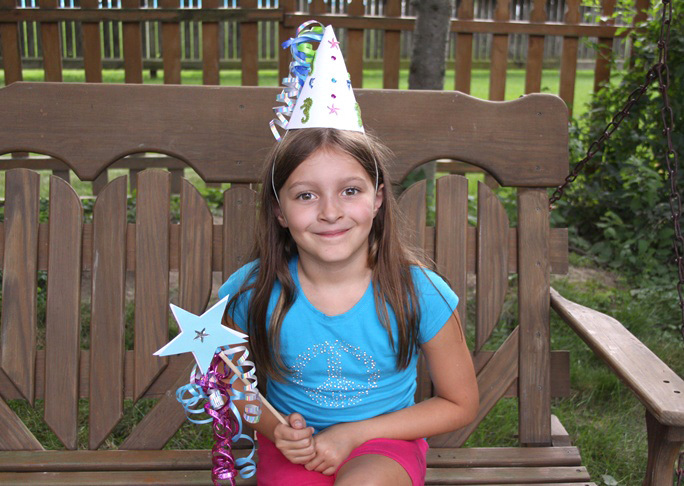 Why not let them decorate their own birthday party crowns or hats? 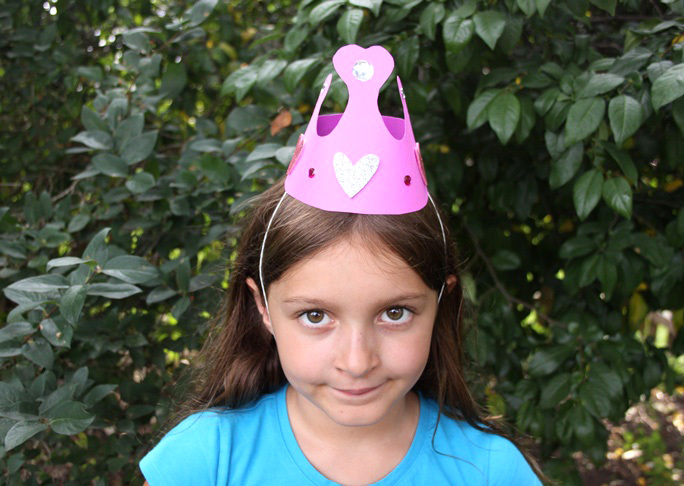 Just print out the hat and/or crown template and cut it out of card stock, and let your kids use their favorite stickers, bling, gems, or even glitter to decorate. 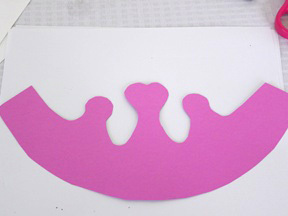 Step 1: To make the princess crown: Print out the princess crown template onto the card stock in your choice of colors. You can also print out the template onto a plain piece of paper, then cut it out and trace it onto the card stock. 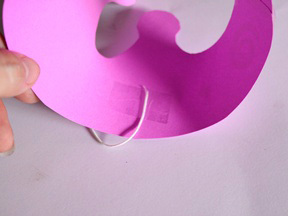 Step 2: Cut out the princess crown. 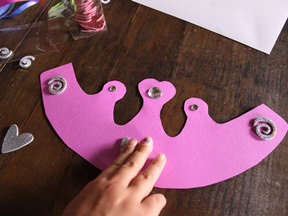 Step 3: Leave the crown flat, and let the kids decorate it with their favorite gemstones or stickers. 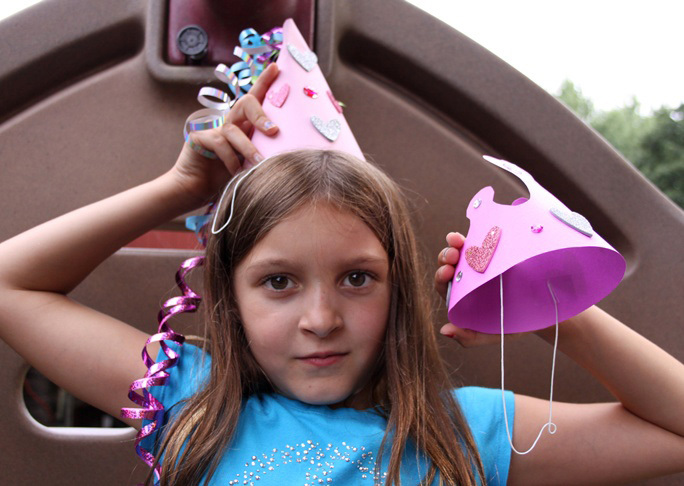 You can also use glitter, markers, paint, or ribbon to decorate your princess crown. The center will be the front of your crown. 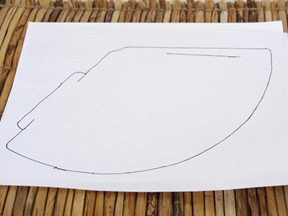 Step 4: Wrap the hat around and put the flap through the slit to form the hat seam. Put a piece of tape over the seam to hold it in place. You can put the tape on the inside or outside of the crown. It may be easier for kids to put the tape on the outside. Step 5: Tape one end of the elastic thread on the inside of one side of the crown. 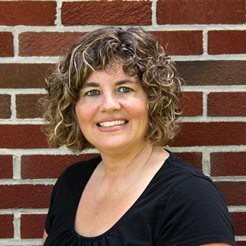 Put a piece of tape over the other end on the other side to form a chin strap to hold the princess crown on your child’s head. Step 6: Try on the princess crown and adjust the chin strap if needed. 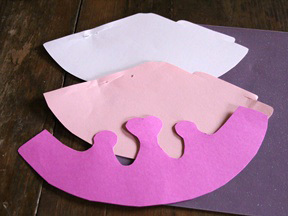 Step 7: To make the princess hat: Print out the princess hat template onto the card stock in your choice of colors. Step 8: Cut out the princess hat with a pair of scissors. 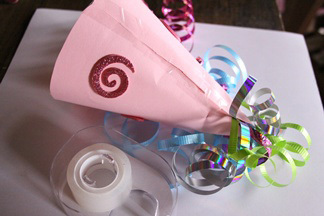 Step 9: Add streamers to the princess hat by cutting several pieces of curling ribbon to about 18 to 24 inches. Place a piece of tape in the center of the ribbon, and tape it to the very top of the hat on what will be the inside. Step 10: Have an adult carefully use a pair of scissors and run the blade along the ribbon to curl it. 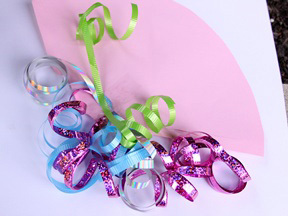 You may also be able to purchase ribbon that is already curled in the gift wrapping section of your local store. 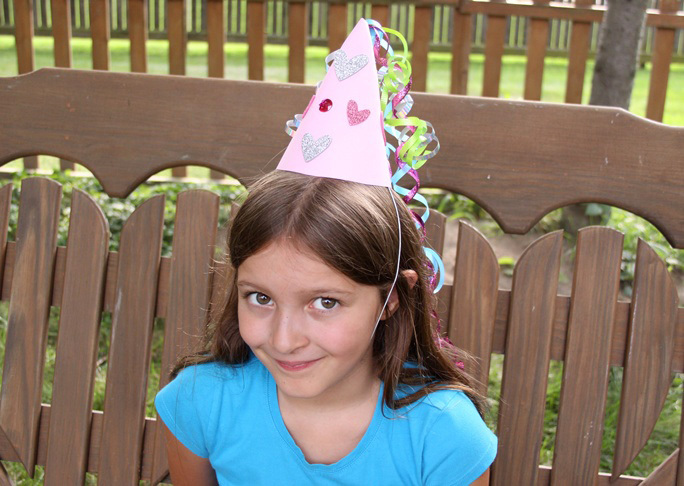 Step 11: Let the kids decorate the front of the hat with their favorite gemstones or stickers. 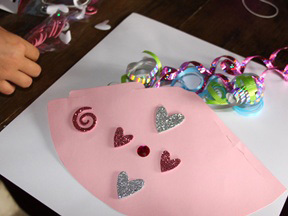 You can also let them use glitter, markers, or paint to decorate their princess hat. The center of the hat will be the front when the hat is completed—have the kids keep this in mind when they’re decorating. Step 12: Use scissors to cut out the line along the edge to make a slit. Put the flap through the slit to form the hat, and then add a piece of tape along the seam to hold it all in place. Step 13: Tape one end of the elastic thread to the inside of one side of the hat. 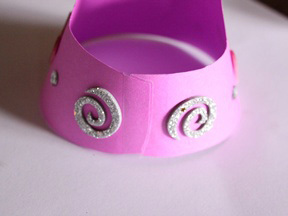 Tape the other end of the elastic to the other side to form a chin strap for your princess hat. Step 14: Try on the princess hat and adjust the chin strap as needed. 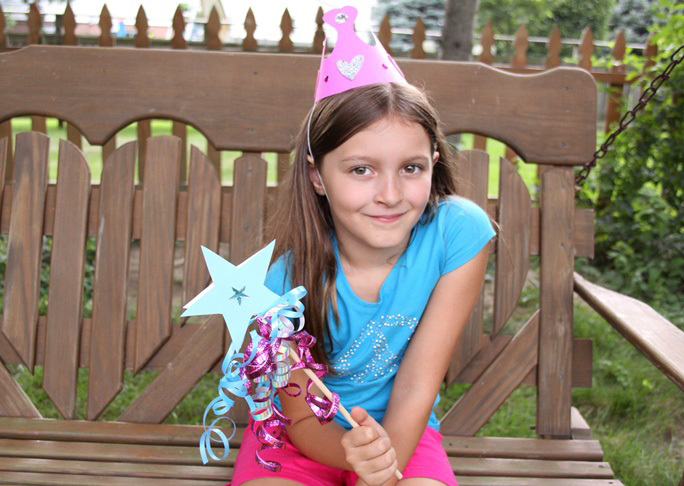 Step 15: Pair the princess hat or crown with a princess wand for dress up and role play fun.